Remember the bees? They are back! This big bee just lumbered out from between a window and a screen and is buzzing around the Leonard Pennario desk. We have gotten familiar enough with each other so I have named the bee, pictured above. Its name is Deborah. Deborah is Hebrew for "bee." But Mary is Hebrew for "bitter" and I am bitter toward Deborah. She and her buddies will have to go. We cannot deal with this again. That day when I came home from Mass and had to beat all those bees to death, I do not want to have to do that again. There was the other time I had to go to war with them too after interviewing the cellist Lynn Harrell, who played with Pennario in Aspen as I am sure I have mentioned. Both bee battles were ugly! These bees are slow and easy to swat but then they are tough and you have to beat them and beat them. And still they sit there, weakly waving their wings. OK, that last link was kind of obscure. But I love that song and trust me, there is a bee mentioned in it, in the last verse! The German word for bee is "Biene." You have to listen for it. 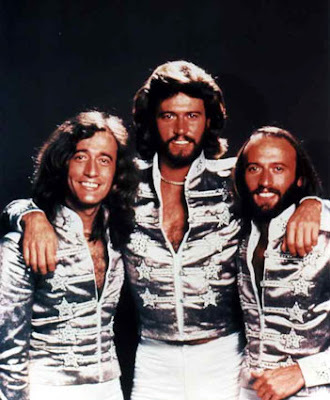 What about the Bee Gees? Howard and I have to give in and call the exterminators. But eeuuww! Just that word! As soon as we said it out loud the bee came alive and began buzzing crazily and hurling itself around the room. It knew! We do not exactly like the idea either. There is nothing like having a truck pull up in your driveway with the word "Exterminator" on it. Also we are tight-fisted Germans and we hate to shell out. Howard once had to call exterminators for termites in his mother's house years ago and sometimes I can still hear him talking in his sleep about the high cost. So I am wondering. We are just going to throw this out there for the heck of it. Does anyone have any advice in this department? Homemade remedies, perhaps? There has to be something out there: You buy this, you do that. We want to be the only two living things surviving at this address. But we do not want to overshoot and wipe out the Buffalo Zoo! Cough up the dough ASAP....it will only get worse. Been there. The longer you wait, the more they will multiply....and so will your bill. What about Rimsky Korsakov - Flight of the Bumblebee? Anonymous, that's in there! 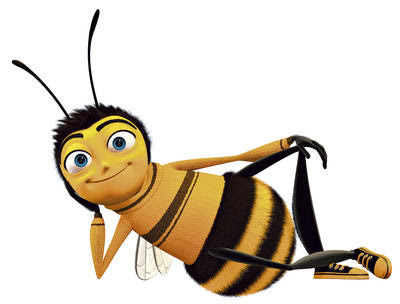 You have to click on "this big bee." Thank you for your interest in my bee problem! Got any ideas? The box and cans are colored red, yellow and green. This stuff is amazing and I keep a can in three rooms of the house and also on in the garage. It kills spiders too but it takes longer. Being a fog, it penetrates everywhere and does a great job on any insect or arachnid. You do not have to release the entire can at once either. You can dispense individual sprays also. The magic ingredient is 'Pyrethrins'. It is what they use on airplanes to fumigate them between foriegn countries. *After the people are on board and the plane is sealed up. * This will solve your insect problem. Lock down the button and fumigate a room or attic, or just pick up a handy can to blast them in the air with a wide pattern spray. Either way works great. One thing though. It does take a couple of minutes to do its work. But one little spray in a garage, for instance, well, when you go back in in a few minutes, you will not see any live bugs. Very powerful stuff! Oops. It should also be noted that the Ortho above works fine outdoors as well and is ideal for eliminating wasp nests. A quick shot from a distance will do the job without alarming them. Good luck! Bees are essential for tree pollination. There is the so called "colony collapse disorder" that has decimated bees, no one knows its cause and it potentially threatens the fruit supply. Obviously you don't want them turning your house into a bee colony however!